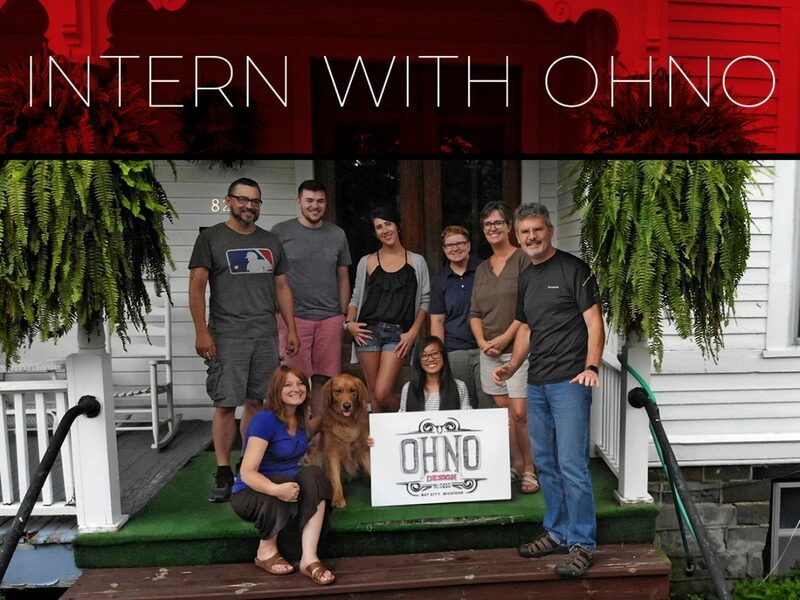 If you’re passionate about a creative career, consider applying for a summer internship at Ohno Design in Bay City, Michigan. We’re a marketing firm working with diverse clients to create everything from brochures to full branding packages and interactive websites. Our designers create logos, social media campaigns, print advertisements, videos, and more. Ohno is a good fit for you if you want to spend the summer gaining experience in print, internet, social media, photography, and design. We treat our interns like one of the team, so come ready to work alongside our experienced crew. By the end of August, you’ll have broadened your experience and created exciting, new work to add to your portfolio. Hours are flexible. You will work primarily weekdays, but some weekends may be required. Pay is a weekly stipend. To apply, send your resume, references, cover letter, and portfolio to info@ohno.design by April 5.